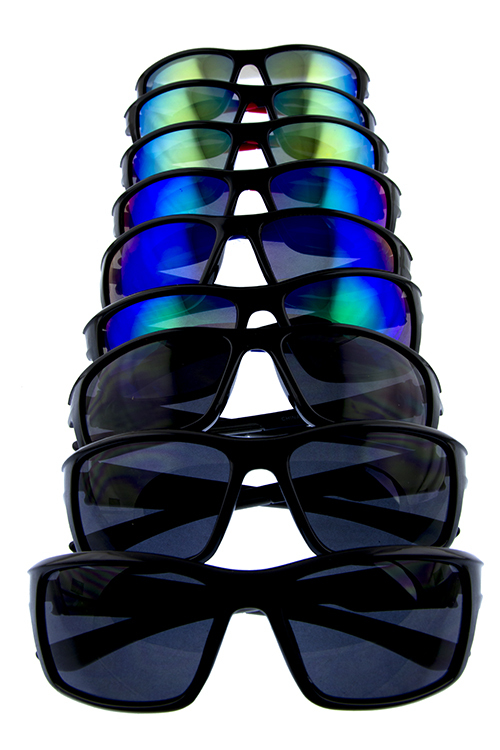 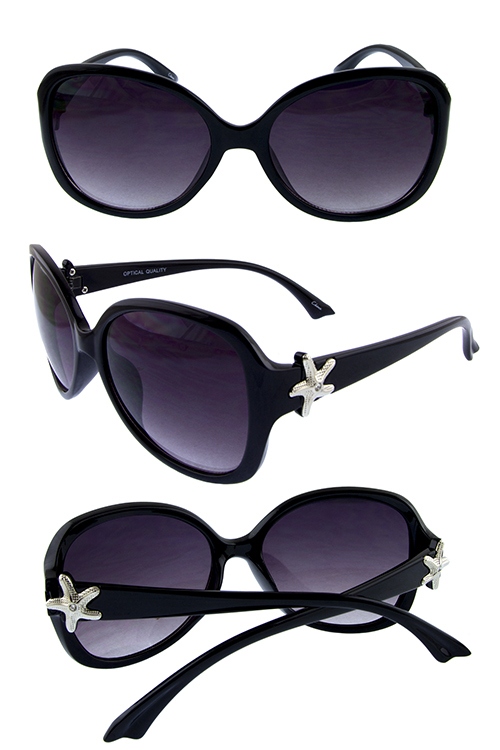 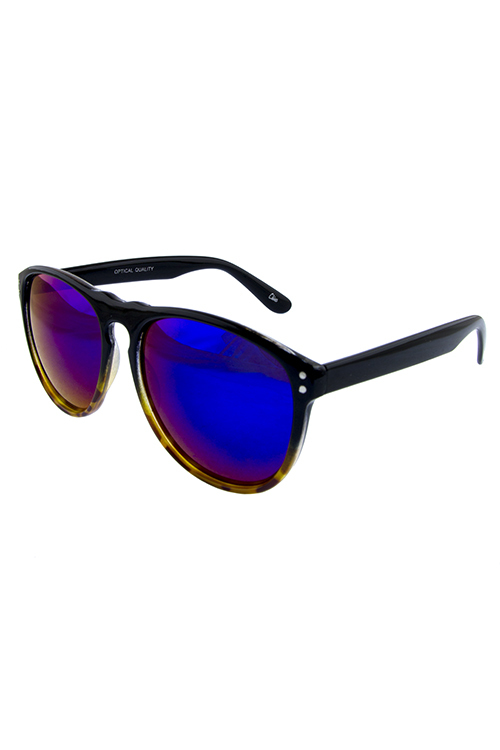 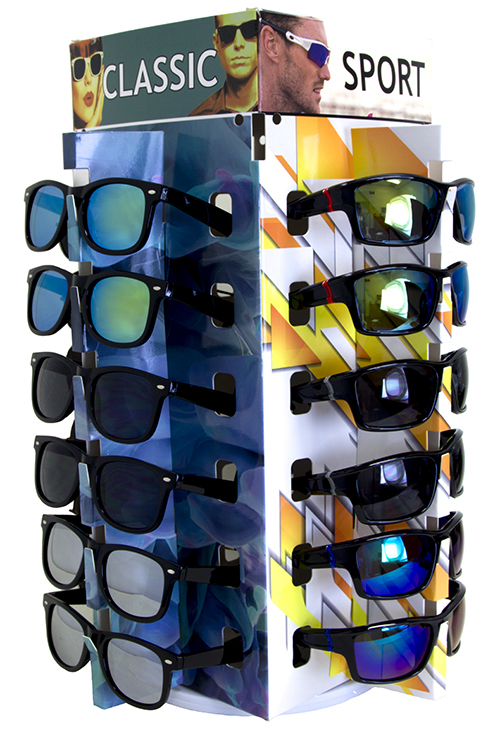 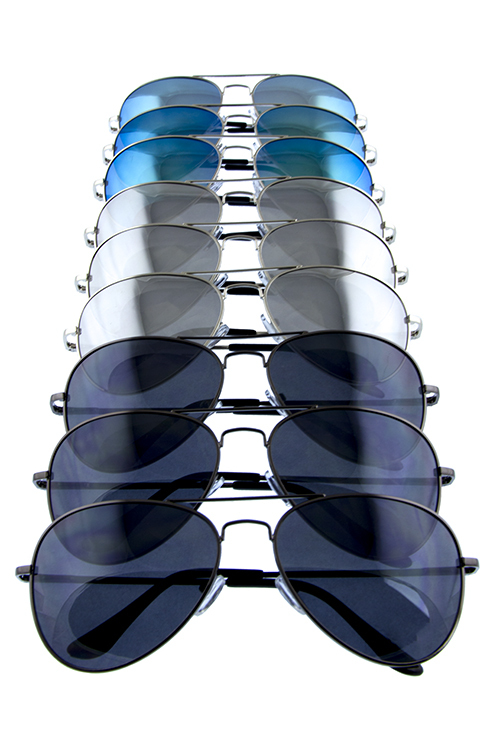 The pack contains 4 separate sunglass styles each consisting 9 pieces per style. 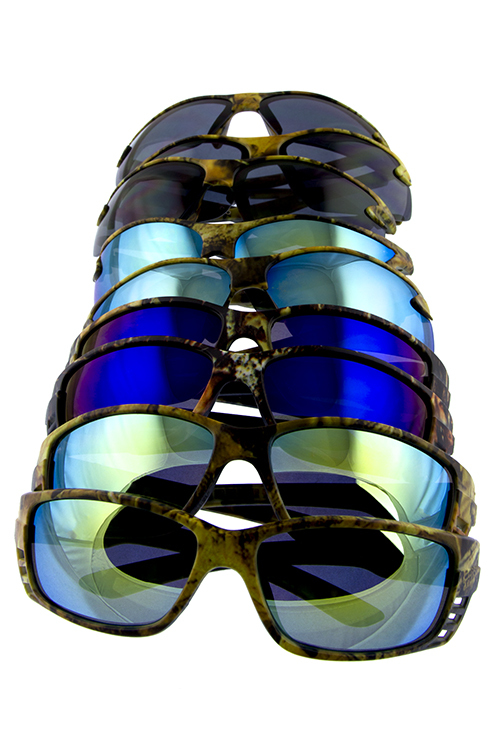 This pack is consisted of Aviator, Classic horned, Sports, and Camo styles. 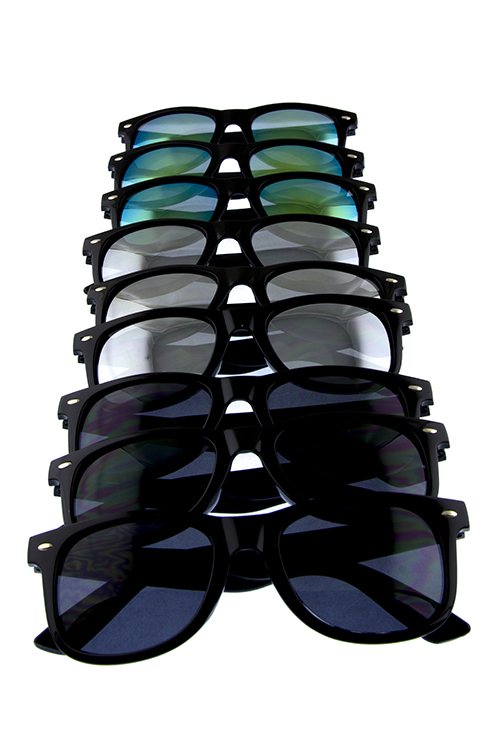 This pack contains a total of 36 pieces. 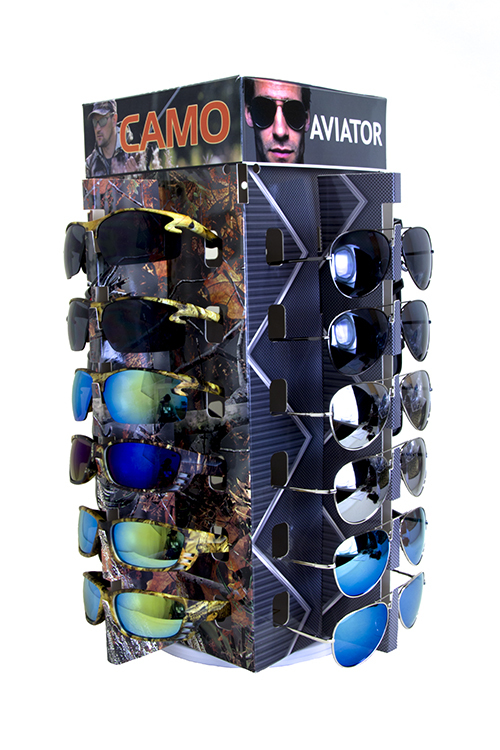 Hang them all onto the counter rack display box that is included as well with the pack.